The premise, that larger trade fair stands require a bigger trade fair constructor is true, as there is simply no additional time for the construction only because the stand covers more than thousand square meters. 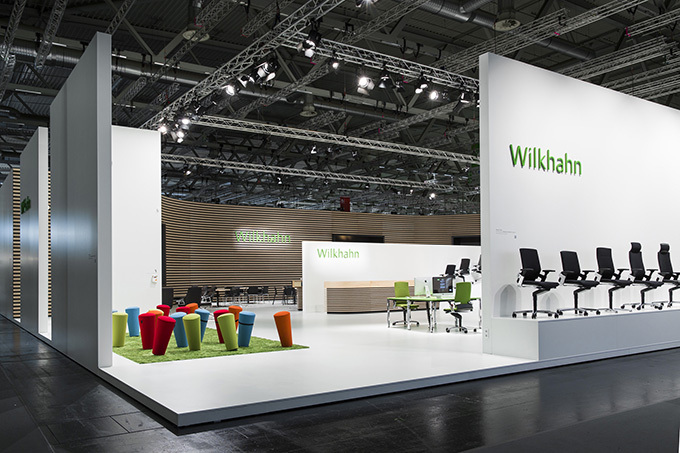 At this point not only the count of employees is important but also our inhouse logistics: Holz & Technic is able to prefabricate trade fair stand parts in our own workshop. Be it metal construction, carpenter work, glass- and plastics processing or painting. The parts are then assembled by our own specialists at the given trade fair location – without any frictional loss caused by external contractors.